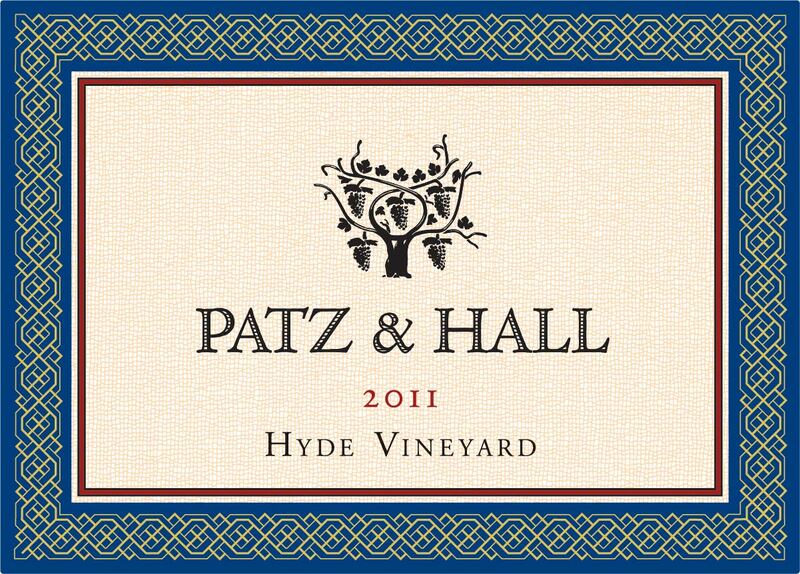 In August, I visited the very fancy new Patz and Hall tasting room south of Sonoma (which is a bit more of the “limo” experience of tasting in the wine country than I’m used to) with 20-some customers to taste through a range of their Chardonnays and Pinot Noirs with partner Donald Patz. The wines all showed well but the undisputed stars of the tasting were the two Hyde Vineyard wines. What makes these so special? Two things: Person and Place. Or maybe I should say Persons and Place. The Place is the Hyde Vineyard in Napa Carneros. The Hyde family bought the land in 1979 and planted it in 1981. It has since been replanted after the Napa phylloxera outbreak. 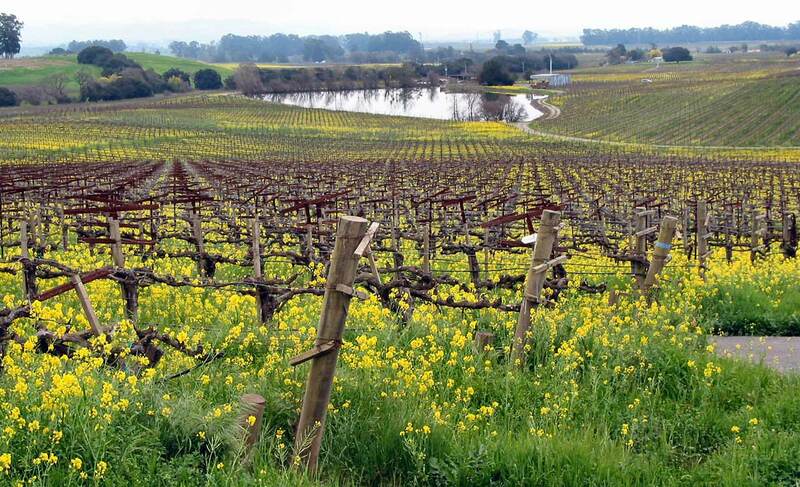 While it may not look all that different from the many vineyards surrounding it, the Hyde vineyard is a special spot. 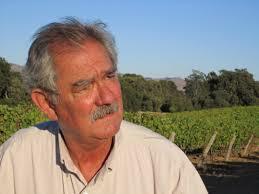 In fact, if America has a grand cru vineyard for both Chardonnay and Pinot Noir, it almost has to be Hyde Vineyard. 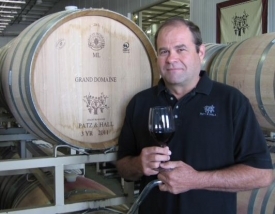 While several other wineries by grapes from Hyde vineyard, Patz & Hall is the largest single customer. A 14.2% alcohol, 100% Chardonnay (Hyde-Wente Selection) grown on well-drained sandy clay loam in the hills of Napa Carneros. The grapes are whole-cluster pressed and the juice goes into barrels for a 100% indigenous (wild) yeast fermentation and full malo-lactic fermentation in the barrels. The wine is aged 1o months on the lees with regular stirring in all Burgundian French oak barrels (60% new) and bottled without filtration. Gold in color with green highlights and well formed legs; dry, medium-full-bodied with freshly balanced acidity and scant (but present) phenolics. Deep and rich but with elegance and balance. Lovely pure Chardonnay citrus-tropical-tree fruit with mushroomy earth. Integrated and complete. The fruit, oak, and earth are all in harmony. Delicious. White wine with a red wine level of flavor and intensity. Pushes all my buttons. BearScore: 98. A 14.2% Alcohol, 100% Pinot Noir from two small blocks in the Hyde vineyard planted to Hyde Calera selection fermented using both indigenous and cultured yeasts with 15% whole clusters going into the fermenters. Malo-lactic fermentation is in barrel (all Burgundian French oak barrels, 65% new) where the wines age 10 months befor they are bottled without fining of filtration. Purple-red in colo with well formed legs; dry, medium-bodied with freshly balanced acidity, medium phenolics. Supple, ripe, richer Pinot Noir offering dark and darker red fruit (cherry and mixed berry with notes of raspberry and a hint of cranberry) with spice and cola and dark earth. Deep and delicious with layers of flavors. Complete. A joy to hold in the mouth. BearScore: 98.